Flex your mind! The 12 cubes of the Flexi Puzzle can be bent in every direction. But which is the right way? With 80 challenges and 4 levels of difficulty, this brain teaser will have you twisting and turning, but that's half the fun! This puzzle helps with spatial and three-dimensional thinking. 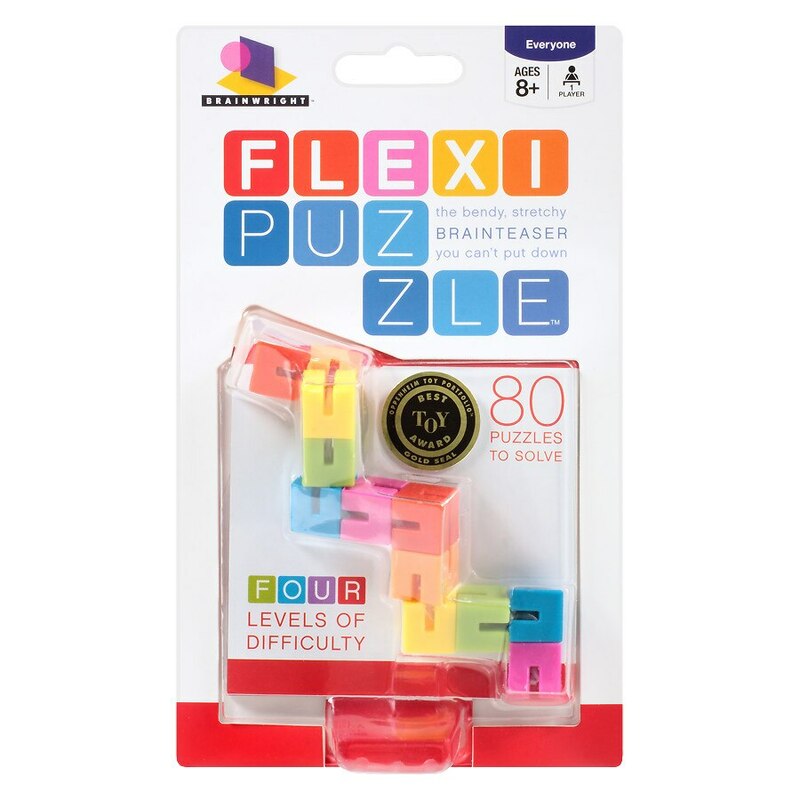 Includes 12-cube Flexi Puzzle, challenge book, storage bag.